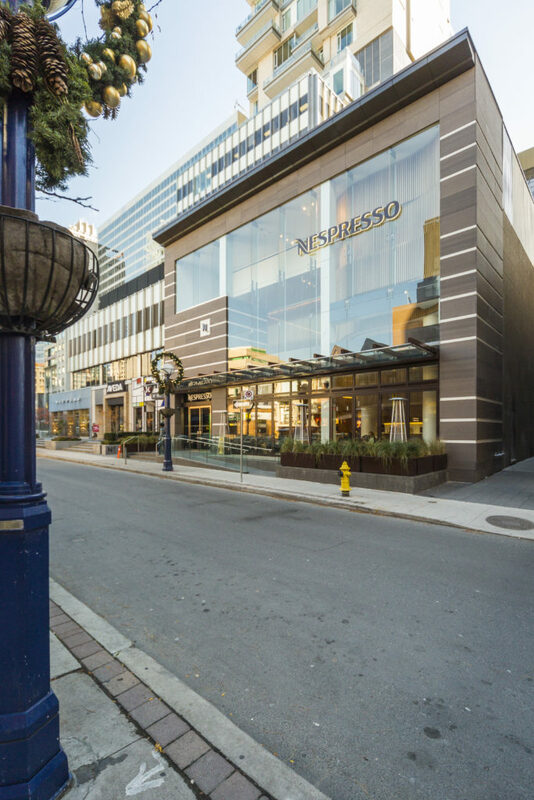 A former movie theatre in a high-end, distinctive shopping district of downtown Toronto, this project provided Turner Fleischer an opportunity to showcase the international brand, Nespresso’s offerings in a grand, urban setting. Built within the frame of an old movie theatre, ideally located in one of Toronto’s most prestigious neighbourhoods, the Turner Fleischer team transformed the space into a flagship retail boutique and restaurant for the international coffee giant Nespresso. Being able to successfully incorporate Nespresso’s distinct aesthetic and operational vision into the former Cumberland Cinemas provided a unique challenge for the firm. Coordination of the numerous stakeholders, including the tenant, the tenant’s Canadian division, the landlord, contractors, European suppliers, and extensive consultants added another level of complexity. As experts in complicated commercial developments, and as the prime coordinator, Turner Fleischer was able to harmonize and incorporate the input of all parties. The result is an architectural feature integrating fine detailing punctuated with clean lines. 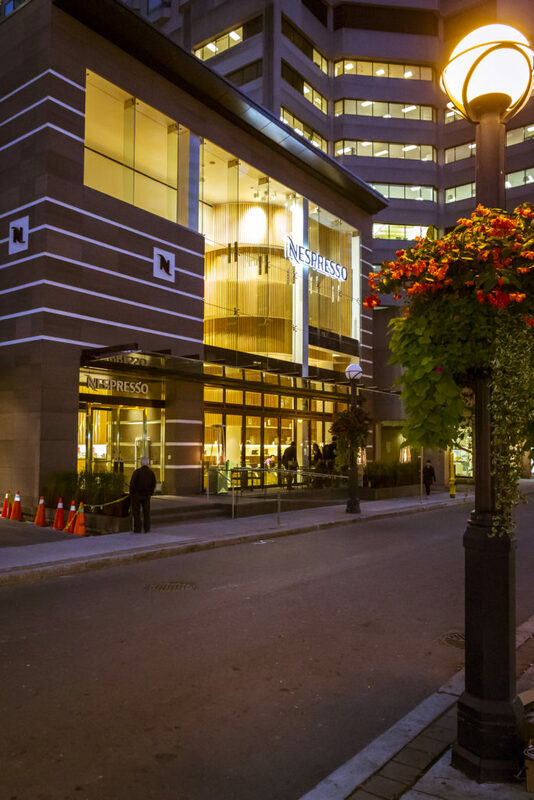 Where the former cinema had a minimal street impact, the new Nespresso location has revitalized this shopping district. The finishing and exquisite millwork raises the level of sophistication befitting such a high-profile retailer corporation.